Up early for our 9am flight out of Christchurch. Kids got up and ready with minimal complaint. Home to Sydney by 10:30am. Happy to be going home but we will all miss New Zealand. If you haven’t been….GO! After a quick bite to eat in the Air New Zealand lounge we boarded our A320 flight to Christchurch. 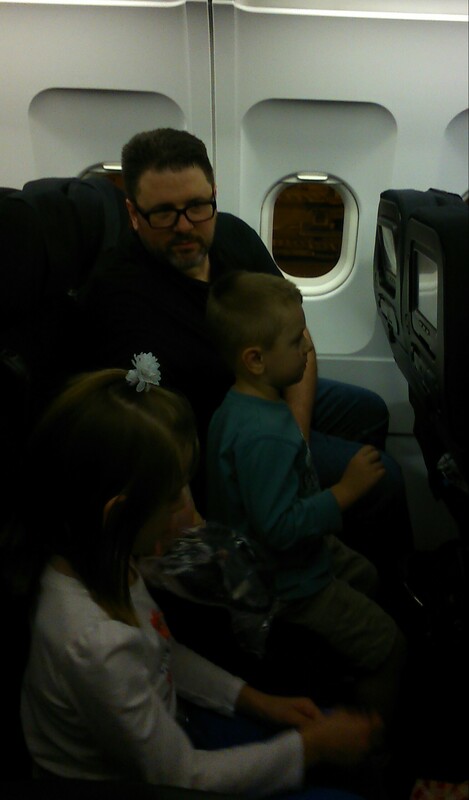 Tom is with kids across the aisle from me. They got premium economy and I am slumming it in economy. Not so bad for a short flight. More from New Zealand tomorrow. In the taxi on our way to Sydney Airport for a flight to Christchurch, New Zealand. Photos and updates for the next 16 days.